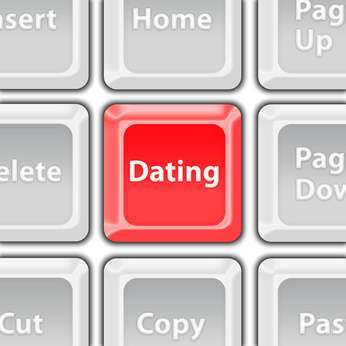 Is Creating an Excel Spreadsheet for Dating Creepy or Smart? The financial guy whose online dating excel spreadsheet was spread all of the Internet was big news this week. Dealbreaker broke the story and he became the laughing stock in the dating world. As an online dating expert, I’m here to defend him. I believe that online dating is a numbers game. In fact, when I coach singles on finding love online, I create a Microsoft excel spreadsheet for them to be organized, and I’ve been doing this for over 15 years. I’ve also written about the use of excel spreadsheets in my bestselling book, The Perils of Cyber-Dating: Confessions of a Hopeful Romantic Looking for Love Online, which was released in 2009. Sure, financial guy’s comments shouldn’t have been shared with his date. Even though she was number one on the list, remember anything that you send via email can be, and assume will be shared. Whether he likes his women hot or young is not the issue. Looking for love online, if you’re truly serious about it can be compared to looking for a job. A well-organized job seeker will be more successful in finding his dream job. So will a well-organized dater. So to those of you who have commented that this guy was creepy, I have to disagree. He appears to be a smart and busy businessman. Busy executive and CEOs don’t have a lot of free time to date, but they certainly spend a lot of time on their computers and mobile phones. The only dating advice I can offer is to not should share your private information about your other dates with someone you’re dating. I’m sure financial guy learned his lesson well. Sometimes men and women are on a need-to-know basis. His date didn’t need to know about the other women he was pursuing. Would you create a spreadsheet to organize your dates? Julie Spira is an online dating and netiquette expert. She creates irresistible profiles for singles on the dating scene. For more dating advice, like us at Facebook.com/CyberDatingExpert and follow @JulieSpira on Twitter. For times when I’ve been in communication with more than two guys–something that can, but rarely does, happen with online dating I have used a spreadsheet. It was more for fun than anything else and had a column for facts about the guy, when we talked, his photo and my thoughts. If we had a date planned, etc. It was a way for me to keep straight on little details. I called it my date-a-base (though I think I borrowed that name). What I found a little disturbing about the man in the story was the extreme age differences and the fact that he was apparently using a wide range of sites, usernames and different photos. One can only hope he was being upfront in all of those.